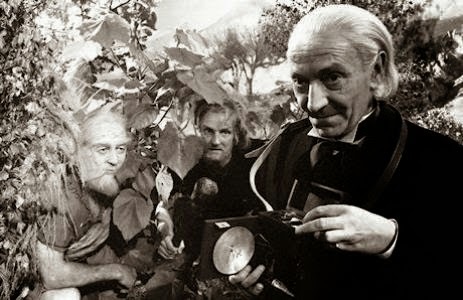 This Week In DOCTOR WHO History: May 24th to May 30th | Warped Factor - Words in the Key of Geek. 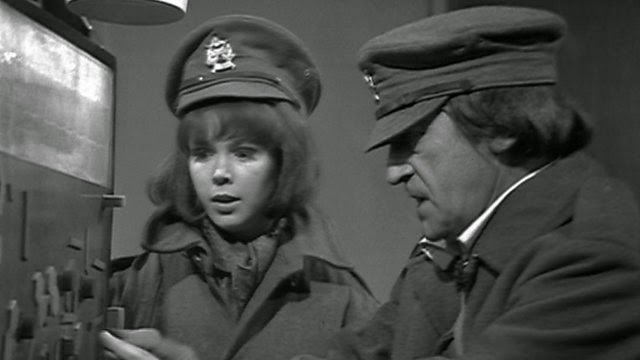 Just one Doctor Who episode has been broadcast on this day, and that is part six of the Second Doctor's final adventure The War Games. If you were tuned into BBC1 at 5.15pm that Saturday then you would've been joined by 4.2 million others waiting to discover how the Doctor, Zoe and Carstairs would rescue their friends. On this day in 1968 6.8 million people were watching the Second Doctor in episode five of The Wheel In Space, an installment which along with parts 1,2 & 4 is now sadly missing from the archives. Skip forward one regeneration and 6 years and we have the STUFF OF NIGHTMARES!!!! If you have an arachnid phobia that is! It's the Third Doctor's swansong Planet of the Spiders. 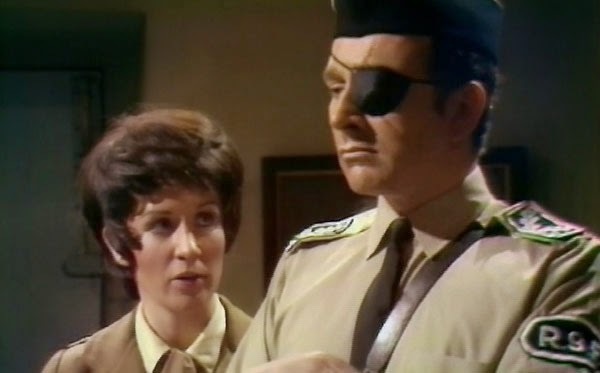 Part four was broadcast on this day in 1974 and watched by 8.2 million viewers. On this day in 1973 episode two of The Green Death was broadcast to an audience of 7.2 million viewers. Then we jump into a Type 40 and travel 34 years into the future for our first new-Who story of the week, and that Tenth Doctor eh? Always kissing someone! This time it was the school nurse Joan Redfern, who get herself all tangled up in a bit of Human Nature. Broadcast in 2007 at 7:11pm, the start of the Chamelion Arch two-part adventure was watched by 7.74 million viewers. This day gave us another classic Second Doctor adventure, in the form of episode 2 of The Evil of the Daleks. Broadcast in 1967 at 5:50pm and watched by 7.5 million viewers, it is the only installment of the seven-part adventure which currently resides in the BBC archives. One regeneration later and the Third Doctor did battle with The Time Monster on this day in 1972. Episode two was broadcast that Saturday at 5:51pm, and watched by 7.4 million viewers. Then in 1996, it was the start of a (very brief) new beginning for Doctor Who. 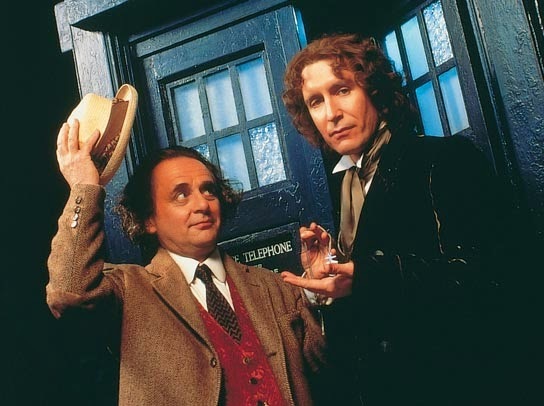 The TV Movie (aka The Enemy Within), jointly produced between the BBC and Fox, was hoped to be the start of a new series of adventures featuring Paul McGann's Eighth Doctor. Alas it was not meant to be, as although a mighty 9.08 million tuned into the UK broadcast on that Bank Holiday Monday evening, it's premiere on US television on Tuesday May 14th saw a rather disappointing 5.6 million tune in, just a 9% share of the audience. Finally we have one new-Who adventure broadcast on this day in Doctor Who history, from 2006 it's The Idiot's Lantern, which was watched by 6.76 million viewers. Episode 1 of The Savages was broadcast on this day 1966 and watched by 4.8 million viewers. Then 39 years later it was party time, sort of. "Everybody lives" and so the Doctor Dances! The Ninth Doctor adventure was broadcast in 2005 at 6:59pm and watched by 6.86 million viewers. Then moving on to 2001 and the Eleventh Doctor adventure The Almost People which drew an audience of 6.72 million. Three episodes were broadcast on this day, each of them featuring a long standing foe. Firstly, in 1965 we have episode two of the First Doctor/Dalek adventure The Chase (titled The Death of Time) which was watched by 9.5 million viewers. Two regenerations and it's another episode two, this time it's the Third Doctor and the Master in The Dæmons, drawing an audience of 8 million viewers. Lastly in 2010 we have the Eleventh Doctor and the Silurians in Cold Blood, which was watched by 7.49 million viewers. Back in 1964 the second part of The Aztecs (titled The Warriors of Death) was broadcast to an audience of 7.4 million viewers. And finally for this week in Doctor Who history, Liz Shaw discovers that gentlemen don't always prefer blondes! It's episode 4 of Inferno, and it was broadcast in 1970 at 5:15pm, and watched by 6 million viewers.